Hopefully most blogophiles that come across this infinitesimal fragment of the breathtaking interweb do not need a detailed description to the following lyrics. My brain played B-Real’s renowned hook-line on rewind while Felix and I got ready for the first big competition of the season. It was about time. Time for a severe SwimRun combat. Time to venture to the islet that started it all. Time to travel to the striking east of the Stockholm archipelago. 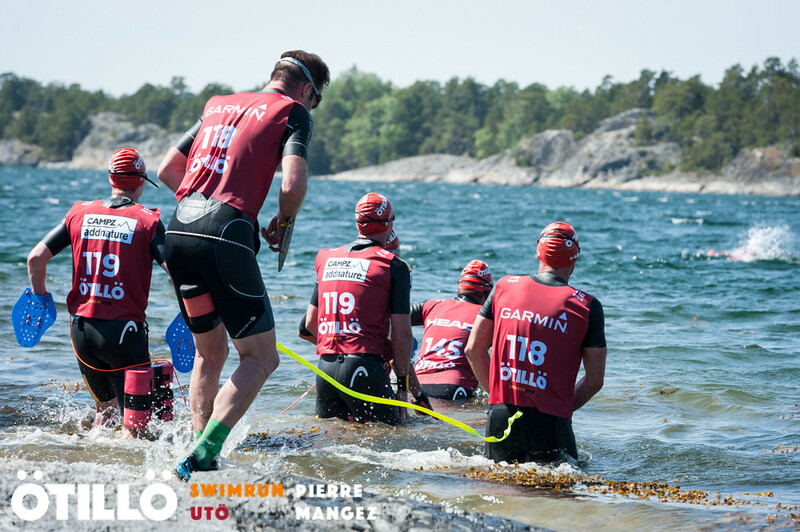 Time to go to the island of Utö – the home of SwimRun. For this years race I teamed up with homeboy Felix Schumann. 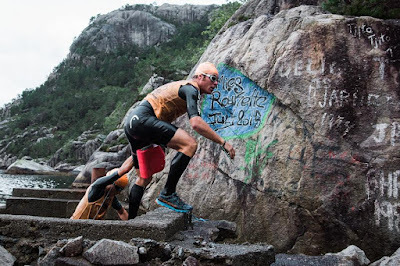 Although his Triathlon and Xterra heydays are gone he caught the SwimRun bug at last years Costa Brava race, which he finished in 2nd place side-by-side with Tim Lange. (My race report…). Furthermore he was keen to lead me around Utö and see where it all started. Our race homework was fairly brief and nearly inexistent, as we did not train together and did not check the course and the distances prior to the race. Fabian and I raced Utö in 2015 (Racereport) but the up-to-date course has changed and is a bit lengthier. However I did remember some portions. Most parts did hit me be surprise, though. Felix and I agreed to have no tactic and to go with the flow. We are far off beeing SwimRun pros I guess. We set out in a reasonable pace and hit the first swim section after a 2,6 kilometres run in the Top 5. Way to fast for my liking. So we decelerated a little bit and sailed the first techy trail sections and short swims in a well-ordered speed. 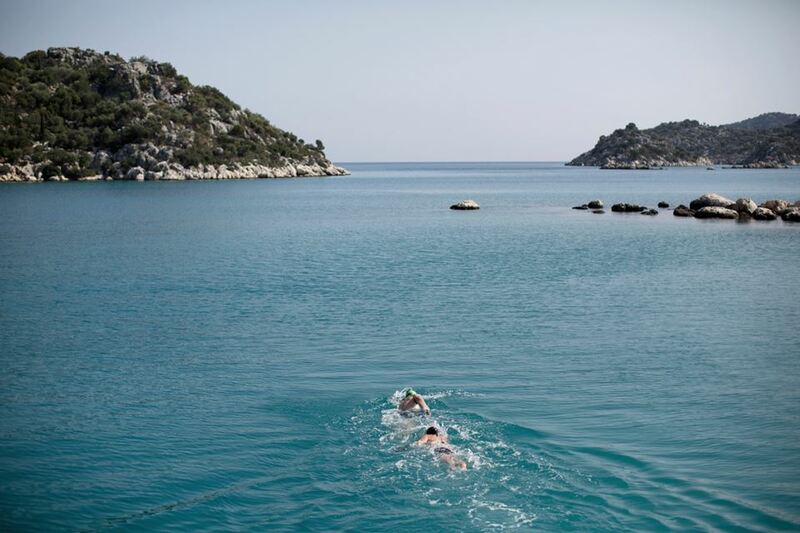 No shocker – Felix lead all the swim section. Significant info: He did not use Paddles! It surely makes a change if one can swim properly. The first “clean” running segment was a long gravel road and we swiftly found a pleasant rhythm that allowed us to catch up on some other line-ups. It must have been a pretty pleasant pace I guess as Felix filched a hasty “B” as I nudged on. Like Andre Hook explained in his short race summary, it can be very challenging to recall all the specifics of a competition. Both of us were focused and nearly all transitions went efficiently and smooth. We did not loose unnecessary time. 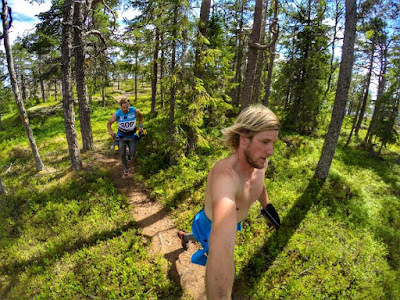 It is no secret that Trail running on Utö is a blast and the technical running took both of our minds off, as we adored the versatile and exciting terrain. Time flew by and all of a sudden Tim and Diane jumped out of the bushes. They followed us all day and made sure there was no negative thinking. Thanks for the effort and thanks for making us grin surprisingly all over the course. ÖtillÖ organisers Mats and Michael came up with the great idea of cutting down the unnatural sugar sources at the aid stations. As I use dry fruits in training it was a no-brainer for me to eat plenty of what was provided at the aid stations. Although I was pretty hyped by the style of food I must have eaten way too much. My belly started to cramp up and I started to feel sick just after 2,5 hours of racing. Instantly I felt that there wont be a major change until I empty my stomach. It did not take me too long. Four short but effective breaks and an apprehensive Henrik Kindgren (“Do you want me to call the ambulance”) later we were back in grinding mode. Our careless pre-race preparation and consequent lack of course understanding let to quite some disbeliefs. We could smell the food and the cold beers. But no. As we thought we were on our way back to the finish line our ruthless followers Tim and Diane greeted us just another time. Firstly we thought that Tim’s statement: “Nice one guys. Just another 5-6 Kilometres of running and some swims…” was meant to be a gag. Unfortunately he did not lie. To get some energy back in our lazy bodies we took a gel. Well, I tried to take one. My stomach did not like that try. Still, we managed to catch another team and somehow made it through the last couple of swims. Undoubtedly I ran out of gas in the cold water. We reached the finish line in 4:58:37 and agreed that this was a tactical nightmare. Despite sleep deprivation (both of us have young families) and the necessary preparation it surely was a fun day. 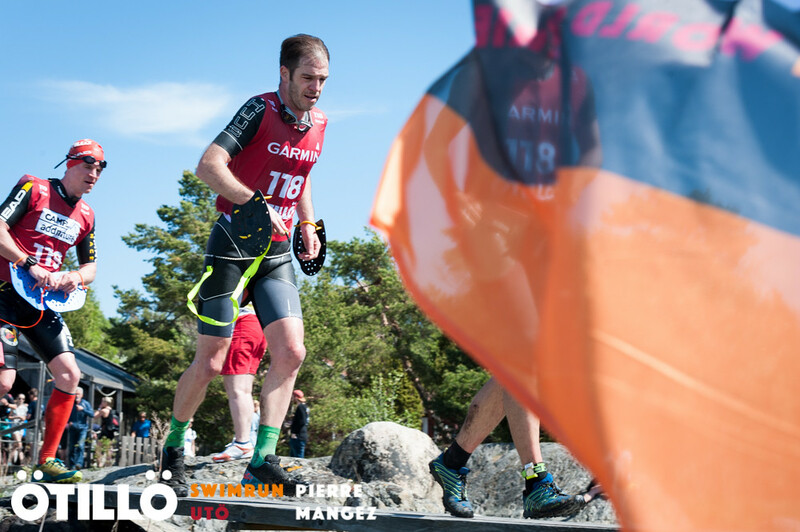 The Utö course is a great course and caters all needs that create this special sport. As “Sickla-Janne” took care of my beaten legs, Michaels announcement during the Ötillö slot assignment hit me be surprise. We got granted a slot for the World Championships in September. 2017 will be the fourth year in a row that our The German Sparkle Party enterprise will have the chance to venture from Sandhamn to Utö. Wetsuit: HUUB – Amphibia 2 (Prototype): This should hit the stores pretty soon and is worth the wait. Incredibly bendy and durable. Goggles: HUUB – Aphotic: For me the perfect SwimRun goggle. I dig the Photochromatic specs and the wide vision. Socks: CEP – Short Socks: You cannot go wrong with this one. For SwimRun I wear the socks one size smaller as usual. Shoes: Salomon – S/LAB XA Amphib: Salomons first SwimRun shoe is just good. Amazing traction and remarkable fit. A true racing shoe. Pullbuoy: HUUB – Big Buoy: Just the right amount of foam for my horrible technique and water position. While running I wear my pullbuoy on the back, though. This gives me more freedom while running technical trails. Spirits are high as Tim cheers us on. Tow the line – we swam nearly all swim sections towed together. In my opinion this is still the simplest way to match speed and efficiency as both team members benefit. This man has quite a skillset. He is a sturdy runner, an impressive cyclist, a fantastic swimmer, a steadfast kayaker and overall a pretty fine fella. Not only because of last years remarkable Coast-to-Coast victory people in the endurance world should know about him. 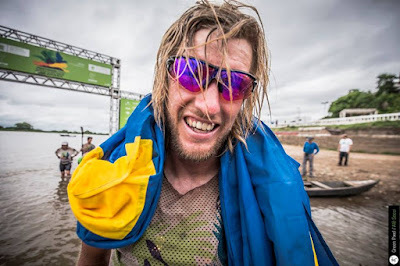 He raised eyebrows in SwimRun and Triathlon racing and is very popular when it comes to Multisport and Adventure racing. In a few days he tries to defend his Coast-to-Coast title. But before that he took some time to rest and reply to several questions about what’s up and coming. Runssel: February the 10th is approaching fast. You are planning to defend your title at the iconic Coast-to-Coast one-day competition. What did you learn at last years race and what does an athlete need to cross the New Brighton Beach finish line first? Sam Clark: The one day event is known as “The longest day” and for good reason, the winning time is often over eleven hours. I have learned from previous races is to never stop pushing. “Coast” is a test of your mental endurance as well as your physical, and the winner will have a good balance of both. Last year Sam had to wait 58 Minutes at the Coast-to-Coast finish line for second place finisher Bob McLachlan. He won the iconic race in a time of 11 hours, 37 minutes and 7 seconds. This year he tries to defend this well-earned trophy. Runssel: The competition is ramping up and with highly decorated Australian triathlete Courtney Atkinson in the contest there will be added opposition. Who do you think will be your main contenders in this year’s race? Sam Clark: The competition has stepped up over previous years and there are some seriously talented and experienced athletes racing in 2017. Braden Currie has gone from strength to strength in the past two years and Courtney Atkinson will be very quick over the run, as will Daniel Jones and Alex Hunt. Runssel: Do you train on the Coast to Coast course often? If yes, how would a key workout look in preparation for the big day look like? Sam Clark: I live in the North Island, so it can be a bit of a mission to get down South to spend time on course. I like to spend the 10 days before the race re-familiarizing with the course, and discovering the subtle course changes, which naturally occur from year to year. It was the punishing 33 kilometre mountain run where Sam increased the gap to the rest of the field at the 2016 version of Coast to Coast. Runssel: A long and challenging race like the Coast to Coast includes a lot of equipment organisation. What are your weapons of choice for the big day? 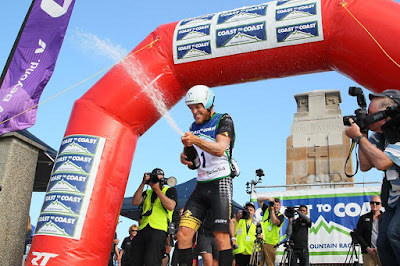 Sam Clark: My shoes on the day will be La Sportiva Helios, I’ll ride my Merida Warp TT bike and paddle a Ruahine F1 kayak. Runssel: Keith Murray’s 1994 course-record still stands with a time of 10 hours, 34 minutes and 37 seconds. When and how is that record going to fall? Sam Clark: The record time was set over a slightly different course, Richard Ussher came very close a few years ago but it will take a very quick athlete and perfect conditions for the course record to fall. Runssel: Last year you based yourself in Sweden for the European summer season. How did this come about and will you go back there again this year? Sam Clark: For the past two years I have been racing as part of the Thule Adventure team, which gave me the opportunity to base myself in Sweden and experience some European style racing, I plan on returning to Europe this year too. Once you live in Sweden there is no way around SwimRun dashing. Not only because of his exceptional clothing style Sam left quite an impression to the local endurance scene. Runssel: Do you already have a race schedule set up for the rest of the 2017 season? Sam Clark: The early part of this year is already full up with Coast to Coast, Ironman New Zealand and then some team racing in China. I am currently seeking out some long distance triathlons to aim for later in the year. Together with Kristin Larsson Sam led the early stages of last years Rockman SwimRun. Nevertheless the mixed team came in as the second crew overall – Remarkable! Runssel: You race all sorts of endurance races. From road, off-road triathlons to multiday events, what does motivate you and why don’t you specify on one single event? Sam Clark: Being a Multisporter opens up a lot of opportunities to race, travel and have a broad range of experiences. I have thought about specializing, but I enjoy the variety that competing in multiple disciplines offers. Runssel: What record do you listen to at the moment? Sam Clark: I listen to an eclectic range of music; lately it has been a lot of Rolling Stones, Ice Cube and Metallica. 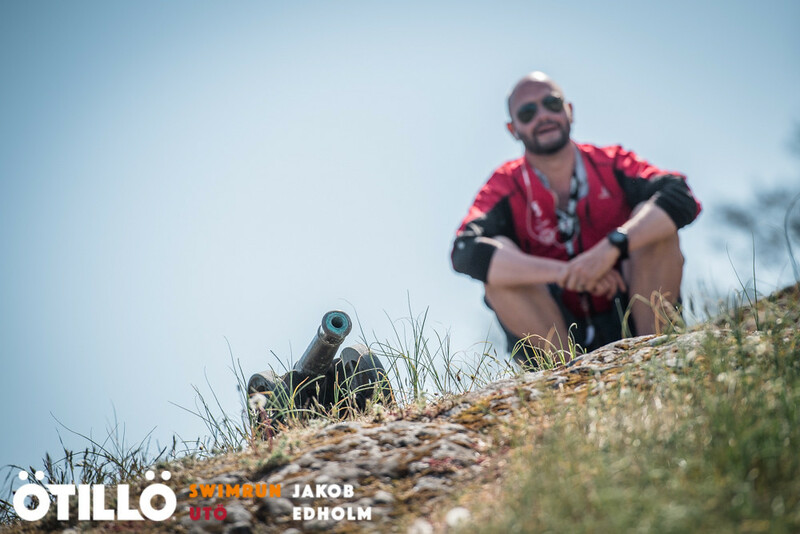 The chronometer above the ÖtillÖ 2015 finish line on Utö Island stopped at 8:55:39. A new course record in the mixed category was in the books and Marika Wagner and her partner Staffan Björklund looked overwhelmed as they crushed the old race-best into pieces. Marika was the first female competitor to go sub-9 hours on that harsh course across the Stockholm archipelago. Staffan and Marika had trained on the course for quite some time and also gave the overall competition a tough run for the podium – in the end they finished fifth overall. 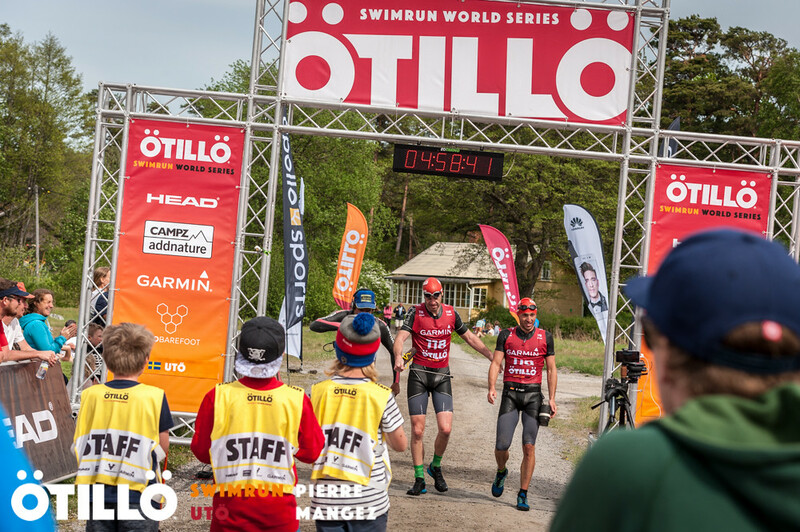 I sat down with Staffan to chat about last year’s ÖtillÖ, their equipment and the sport of SwimRun in general. Runssel: You live on the ÖtillÖ “start island” Sandhamn and are a professional adventure sport racer. The ÖtillÖ competition must be a particularly special for yourself as it’s just in front of your doorstep. When was the first time you heard about the race and how would you define the one-off magic of a race like this? Staffan: This race has great meaning and importance to me. I read about ÖtillÖ when I saw the first ever race poster on the local notice board on Sandhamn. The informal notice spoke about a race, hosted in September by two legends of Adventure Racing, Mats (Skot) and Michael (Lemmel). Some years earlier I had applied for a place in their Adventure Racing Team, Human Link. 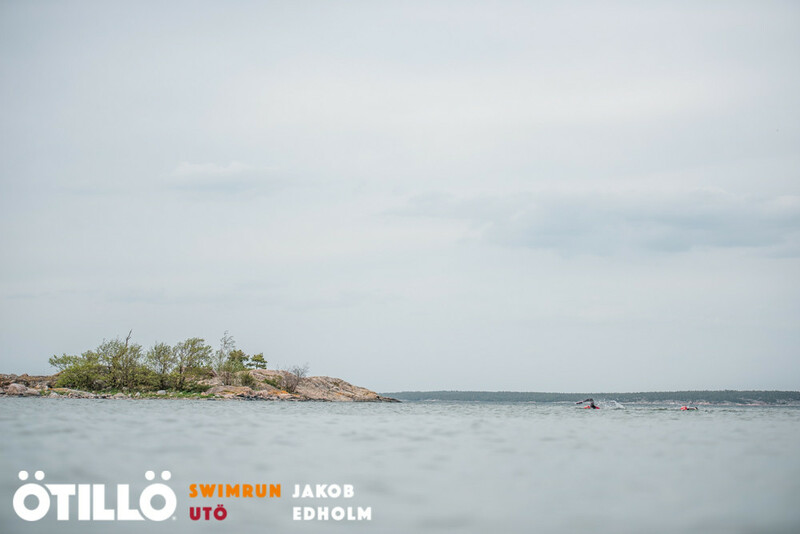 So it was with great excitement and curiosity I read that the participants had to swim and run between the islands of Sandhamn and Utö in only one day. To me, it sounded like absolute craziness. A week or two later we were asked to help out with safety boats for the race, since I worked for the Guides of Sandhamn (Sandhamns Guiderna) and lived on the island. That was year number one for ÖtillÖ. Later on I ran the course and for a few years I worked with Mats and Michael taking down the ribbons after the race. We got to know each other and partnered up with other types of work during the year. This race, in the heart of the Stockholm Archipelago, is one of the most beautiful places in the world. I have been traveling the world but have not seen a place more unique yet. It’s pretty cool to have one of the toughest one-day racecourses just around your doorstep. 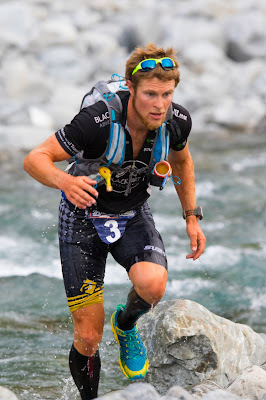 Runssel: As an adventure racer you have certain experience in team racing. Generally you race in a group of four. How come you raced with your crew colleague Marika Wagner? Staffan: I got Marika into Adventure Racing. We first meet a few years back, at the price ceremony on Utö Island after ÖtillÖ 2013. As my season 2014 went on our sponsor, Apollo Sports asked if I were interested in racing ÖtillÖ 2015 for them. They wanted a victory and I was in. The year passed and they had a hard time finding a partner good enough to challenge the elite with me. As 2015 began and Marika came into our Adventure Racing Team, the fit was perfect. 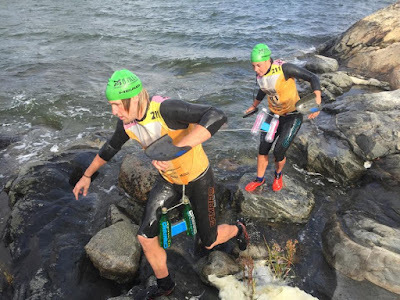 She had two SwimRun podiums and I had won Utö SwimRun and had finished top 5 in ÖtillÖ. We thought we had a good chance. SwimRun Selfie while training and course marking for Höga Kusten SwimRun. 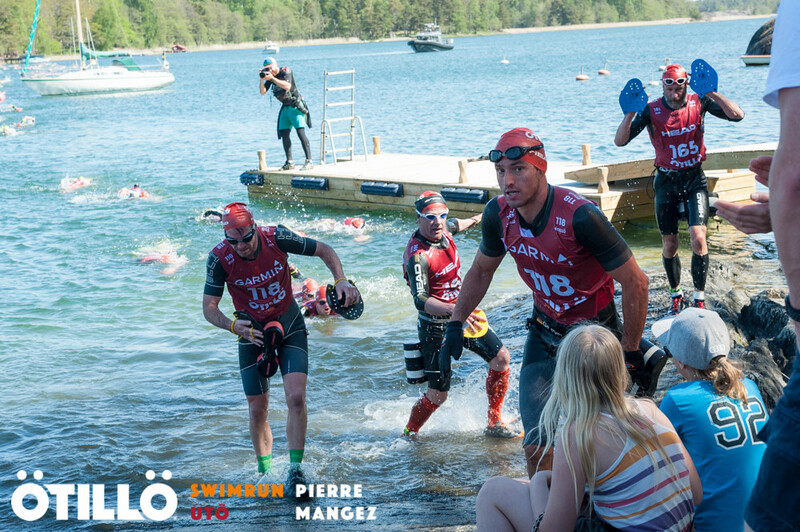 Runssel: SwimRun is still a very young sport. How do you prepare for an event like ÖtillÖ? I know you scouted the course for quite some time but besides that how would you shift your training towards a race like this? Staffan: As the years have past, I have trained on the course but somewhere on the way I lost the count for how many times I have done it. Today I am probably the one person who ran the course the most times. To prepare for this race we are very meticulous. Training is a long-term and year around commitment. We started focused training for 2015 ÖtillÖ 10 weeks before the competition. Runssel: There is quite some discussion about the perfect gear for SwimRun races. Tell us about your equipment. What did you use for ÖtillÖ and why did you use it? Staffan: For gear we’re extremely picky. We used 2 mm minimalistic wetsuits that where custom built for us. It was made for running, not for swimming. We used SwimWins as hand paddles, a performance paddle made with carbon and extra ordinary grip. NO swim goggles. Our buoyancy devices were also custom built by the founder of the sport, Jesper Mars. Also, if you pay close attention to the pictures from the start last year, I look bigger than normal. The reason is explainable. Under my suit I have a vest that I made by myself – I can store 2 L of water, 12 gels and 36 Saltsticks. Marika also custom sew her bib to fit her better. 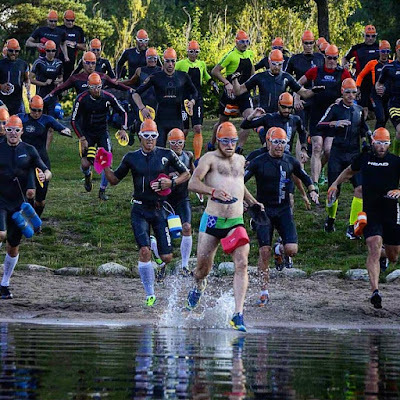 Runssel: SwimRun is growing steady and fast. What does the future hold for this sport? Staffan: Who knows how big this sport can grow? It’s up to us athletes and all race organizers. If we like it to move towards the Olympics or stay in this free spirit surrounding, I don’t know. I will do what I can to contribute to the sport. I like people to acknowledge this as a well-accepted sport where you can make a living on a professional level. Runssel: What’s on the agenda for you and your team for the rest of the year? What goals are you chasing next year? 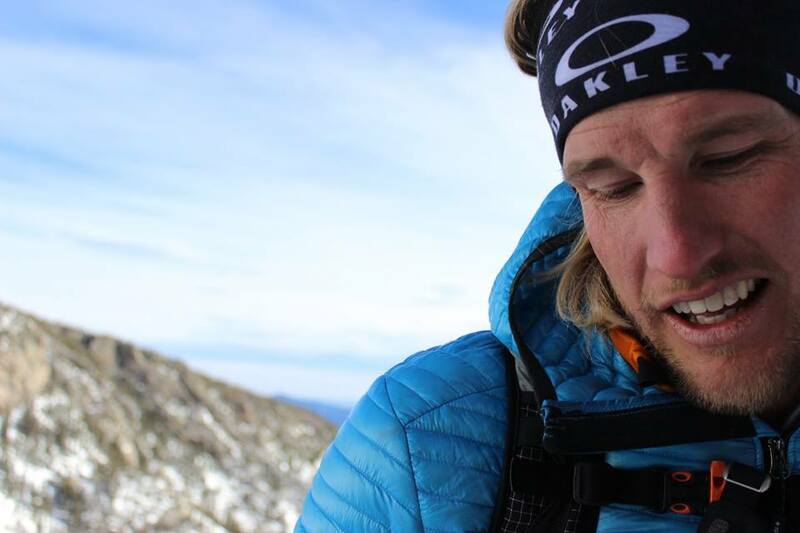 Staffan: My/our agenda for 2016 is as usually packed with training and races. We chase a lot of new achievements and have big dreams for this year. However, in the end of April we’ll release our season of 2016 via our Social Media channels. Catch Staffan via his Facebook and Instagram accounts!